Is your aircon dripping water faster than your nose? Weather is super hot! How can you survive without air con? Cannot tahan one! Wait. Your air con is not cold? 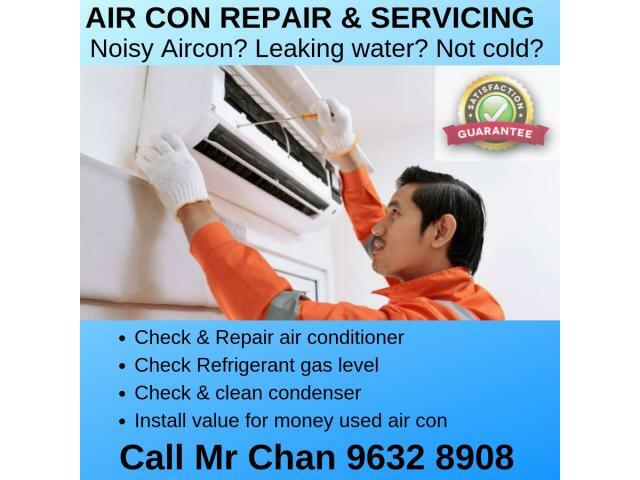 You are looking for air con servicing? Cleaning? Repair Services? Installation of new or used air con? Topping up of air con gas? We can provide general air con servicing, cleaning, overhaul and repair of faulty units. We own a stock of good and well maintained used air con, ideal for rental house and general business usage. Do not hesitate to contact us today for your free quotation!